For the past 25 years Hagar has been committed to thousands of survivors who have suffered from human trafficking, slavery and abuse. Trauma recovery services will always be our core mandate, however, in recent years we have also seen the added value of partnering with non-profits, corporates, and government officials so that we can proactively work toward eradicating such human rights abuses. Such efforts are part of Hagar’s collaborative global strategy to start changing the tide in favor of vulnerable populations. We have been investing time, expertise and resources (with large pro bono contributions) to think bigger, more globally, and to seek out situations in which our impact is amplified, spreads, and grows. Hagar was just selected as one of two counter-trafficking non-profits (from 70 applicants) to receive a Deloitte 2019 social impact fellowship (D2i) with 17 dedicated fellows to help Hagar improve our impact for counter trafficking via more effective internal systems, increased visibility, scalability planning, monitoring & evaluation, fundraising and partnership-building. This is a game changer for Hagar! 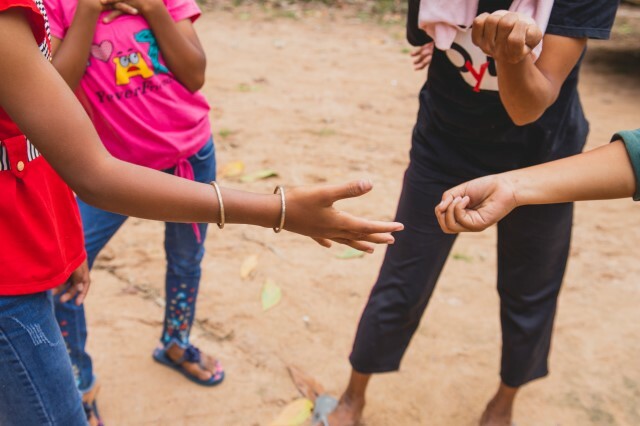 Hagar remains committed to training attorneys, court officials and justices in Cambodia on how to better respond to trauma survivors through the legal process to ensure protection and improved testimony from survivors and witnesses. Such capacity building is changing the legal system and improving Cambodia justice outcomes for victims of human rights abuses. The same tools and capacity-building efforts are now being replicated in Singapore, and we desire to expand this work to other jurisdictions in Central and SE Asia. In Singapore, Hagar is the only non-profit selected to be on the government’s committee combatting human trafficking. As you can see, there are many significant opportunities for Hagar to increase our impact through counter-trafficking measures, but we need your help today! We desire to have key staff positions in prominent global cities to influence policy, and advise on best practice. We also desire to increase the number of partnerships (schools, churches, corporations, governments, NGOs) so that we can usher in a new reality in the years ahead. The “Reality Check” campaign was shocking to most as they were surprised to hear you can buy a slave for $90 on average. It is a real eye opener once made aware. This information should call us to action to use our time, expertise, networks, and resources to fight against the scourge of human trafficking and modern slavery. If we act collaboratively, together we will change the tide so that vulnerable populations do not have to experience the deep impact of such preventable human rights abuses. If you know of possible partners, have areas of expertise or resources that could help us in our work, would you reach out to me at mike.nowlin@hagarinternational.org to help us increase our impact by restoring lives…changing systems…and ultimately, ending slavery!